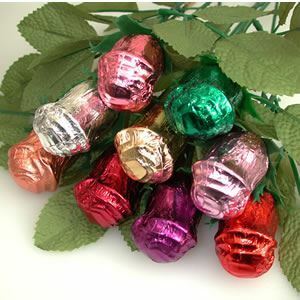 Chocolate Rose Singles. Chocolate Store, the online candy store with chocolate and candy. A single rose has may voices - It can say "I love you" - "I'm sorry" - "Thanks" - It's just the right touch for many occasions.